This article marks 19 years of writing, a total of 950 consecutive articles. When I finished my 500th article, I didn’t think I had another 500 left in me. But I kept writing, and then I decided not to stop until I hit 1,000. If the Lord tarries and nothing happens to me, I am just one year away from that goal. I worry that one day, the powers-that-be might not keep on publishing my work. They could drop me in a heartbeat and say my writing is no longer relevant or isn’t connecting with the readership. Or they may say I’ve become one of those old goats who hasn’t had a good thought since 1954, and every article begins with “Back in the good old days.” The only ones who wants to read that type of stuff are other old goats, and they’re dying off quickly. Anyway, I set my sails and decided I would write until I hit my 1,000th article and then retire. My wife has a bet that I won’t be able to stop. Since I am not a gambling man, I think it remains to be seen. In the beginning, I found it very difficult to write this column. Nineteen years later, it is still just as difficult. Writing is not my area of giftedness. In fact, the last thing I want to do is sit down with pen and paper or a computer and start writing. I only write because I’ve become the permanent temporary writer while they look for someone else. In fact, there is only one thing that has made this journey tolerable, and that is you. Yes, you are the reason I write. It is you I ask God to lay on my heart each week. I desire to serve, help, encourage, bless, teach, inspire, laugh and cry with you. Each week, I write for an audience of two: God and you. But I got a lot more than I bargained for out of this journey. I have discovered it was you who blessed me far more than I have ever blessed you. Your words, your kindness, your hugs, your letters, your emails, your gifts and your encouragement have all blessed this dyslexic, random abstract writer. Everyone has two types of work: dominion and duties. You walk in your dominion when you work in sync with the Creator and how He has designed you. He has given me the gift of teaching, and I love to teach. Give me a minute of your time, and before you know it, I’ll share with you an exciting new truth I have learned from the Scriptures. Teaching is the most natural thing for me. But duties are things that don’t come natural. They are the chores of life, and if you could walk away from them, you would. But doing your duty is also important to the Lord. I know many great preachers who lost their ministries because they failed to be diligent in their duties. A pastor might be a powerful evangelist because that is his dominion, but keeping track of the church finances is his duty. And if he doesn’t watch over and take care of those finances, he ends up out of the ministry. There is a verse that guides my life when it comes to my duties. “So, whether you eat or drink or whatever you do, do it all for the glory of God” (1 Cor. 10:31). That means whether I do the things I love and am gifted to do or the things I detest, I must do them with equal excellence. And guess what? God gets even greater glory when you do the things you like least than when you do the things you love to do. Anyone can do something they like well, but as believers, we understand that everything should be done as unto the Lord. As I begin my countdown to the 1,000th article, I pray I will do well, you will be blessed and God will be glorified. And we will see what God has for this time next year. What would I give up if I quit writing this article? I’m not sure, but I think it might be a blessing. 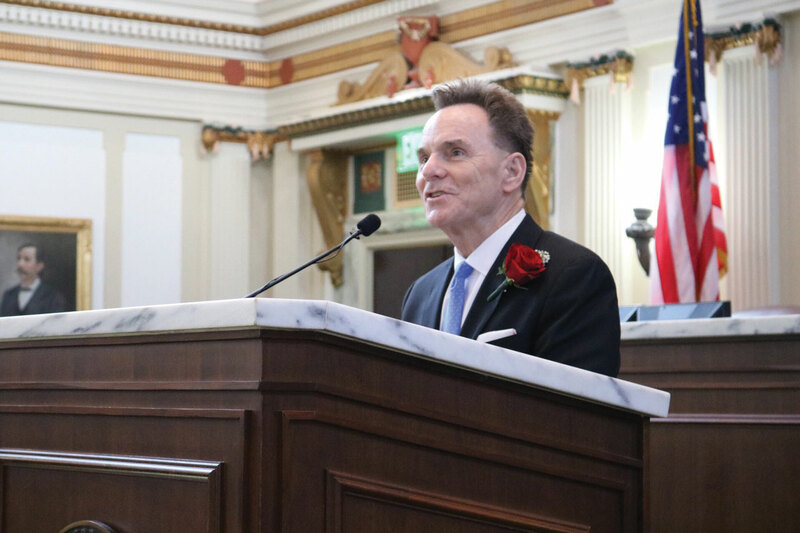 Hear SBC pastor and leader Dr. Ronnie Floyd speak about the importance of the sanctity of life.